The Uruguayan lower house of parliament passed a bill that would create the world's first legal, regulated marijuana markets Wednesday night. The bill passed on a vote of 50-46 after nearly 12 hours of debate. "Sometimes small countries do great things," said Ethan Nadelmann, executive director of the Drug Policy Alliance (DPA). 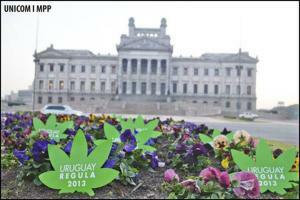 "Uruguay's bold move does more than follow in the footsteps of Colorado and Washington. It provides a model for legally regulating marijuana that other countries, and US states, will want to consider -- and a precedent that will embolden others to follow in their footsteps." Under the bill, the Uruguayan government would license producers, sellers, and consumers. Smokers would be limited to buying 40 grams a month. Unlicensed possession, cultivation, or sales would be criminal offenses, including prison time in some cases. Registered users would be able to grow up to six plants, join a marijuana-growing collective, or purchase marijuana at a dispensary or pharmacy. 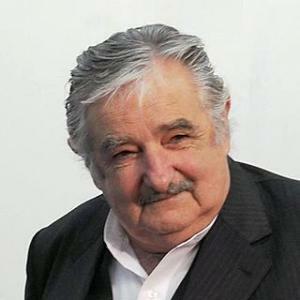 President Jose Mujica has been pushing the bill as a means of attacking black markets and organized crime by creating a legal, licensed marijuana marketplace. He first unveiled it nearly a year ago, but postponed voting at year's end to try to rally public support. A "Responsible Regulation" campaign including TV ads tried to sway the public in recent weeks, to little effect, and public opinion remained opposed to the measure. But Mujica's Broad Front (Frente Amplio) coalition held a narrow 50-49 edge in the lower house, and parliamentary discipline prevailed. The bill will go before the upper house later this year. The Broad Front holds a bigger majority there, meaning the bill should pass if discipline continues to hold. "At the heart of the Uruguayan marijuana regulation bill is a focus on improving public health and public safety," said Hannah Hetzer, who is based out of Montevideo, Uruguay, as DPA's Policy Manager of the Americas. "Instead of closing their eyes to the problem of drug abuse and drug trafficking, Uruguay is taking an important step towards responsible regulation of an existing reality. By approving this measure, Uruguay will take the broad regional discussion on alternatives to drug prohibition one step further. It will represent a concrete advance in line with growing anti-drug war rhetoric in Latin America," she said. According to accounts from the Associated Press and Agence France-Presse, the debate Wednesday featured sign-waving crowds dancing to reggae music outside the Congress building and dozens of legalization supporters filling the galleries. "The regulation is not meant to promote consumption, consumption already exists," lawmaker Sebastian Sabini, who helped draft the legislation, said at the beginning of the session. The black market in marijuana "finances organized crime" and "marijuana use has doubled in the last 10 years," pro-legalization lawmakers added. Opposition lawmakers were unimpressed with the arguments. "We will not end the black market," warned National Party lawmaker Gerardo Amarilla. "Ninety-eight per cent of those who are today destroying themselves with base cocaine began with marijuana. I believe that we're risking too much. I have the sensation that we're playing with fire." Richard Sander of the opposition Colorado Party played an anti-legalization video of ex-addict testimony, adding that the government plan was full of "ad-libbing." But the opposition came to nought in the end, and now Uruguay is one step closer to becoming the first country in the world to have a legal, regulated marijuana market. Neoprohibitionist policies based on same old basic LIES. THAT BENEFIT THE BIGGEST LIARS. The sheer insanity of such huge lies made those the best kind of propaganda. Our entire society has become 99% based on legalized lies, backed by legalized violence. Pot prohibition was merely the single simplest symbol and the most extreme particular example. However, the banksters were always behind that, because they benefit all the way around, from laundering the profits, to having more excuses to build a bigger fascist police state, which the banksters want to protect their fascist plutocracy. Uruguay is adopting a neoprohibitionist form of “legalization,” which is still based on saying that “marijuana is bad, but not so bad” and therefore, it should not be so illegal, especially since turning it over to the black market creates opportunities for organized crime to make money, which is associated with murders, etc., which revolve around that black market money. However, it is silly and superficial to think that pot prohibition was ever intended to do anything else than cause those things to really happen. What we “should” do is realize the degree to which the world we live in is a Bizarro Mirror World, where everything is backwards. It was BECAUSE hemp is the best plant for people that the bankster controlled politicians promoted the huge lies that “marijuana is almost as bad as murder” and enforced those lies to become self-fulfilling prophesies. Good “legalization” should be based on the truth that hemp is good, not that it is not so bad, while prohibition backfires and makes things worse. Uruguay is not truly doing that, so far ... It takes profound changes in the general philosophy of science, and especially in political science, to understand that civilization is actually controlled by the people who are the best at being dishonest, and backing that up with violence. Cannabis was criminalized BECAUSE that benefits organized crime, since the biggest gangsters are the banksters, which were able to dominate the political processes, in order to legalize the lies which they wanted to be backed up by legalized violence. Generally, people do not understand, and do not want to understand, that the murder system's death controls were the most important controls, which DO, and MUST, necessarily exist, BUT, currently are manifesting through the history of the maximum possible deceits. The history of civilization was the development of the War Kings, that made sovereign states, whose powers were covertly taken over by the Fraud Kings, the banksters, due to all the ways that they were able to dominate the funding of the political processes, through both legal and illegal means. That is the overall context in which it was possible to criminalize cannabis on the basis of huge lies. Furthermore, that is WHY no genuine solutions can exist outside of the context of militarism, or the murder systems, which made and maintain the money systems, within which marijuana laws were developed. There is an almost infinite tunnel of deceits dominating everything our civilization is doing. Moreover, most of the opposition to that are reactionary revolutionaries, promoting the same old false fundamental dichotomies, and related impossible ideals, as the ruling classes did. In order to understand marijuana laws, one must understand the overall money/murder systems. Without understanding that death controls are the central issues of political economy, inside of human ecology, then one cannot understand how and WHY hemp was rebranded as "marijuana which is almost as bad as murder." Uruguay's changes are NOT based on more deeply understanding the REAL political problems, but only facing the superficially apparent facts that criminalizing cannabis has massively subsidized organized crime. Those who do not face the deeper social facts that human realities are ALWAYS organized lies, operating organized robberies (wherein the biggest gangsters are the banksters, that covertly controlled governments) FAIL to be able to go through enough paradigm shifting in political science to be able to propose better solutions to the chronic political problems. The drug wars segued from slavery and racism. The economics of slavery systems were justified with racism. Marijuana laws are strongly isomorphic with racism, because melanin is similar to THC, in that they acted as sun screens for the human skin, and for the immature seeds of pot plants. Legalized industrial hemp is like "albino pot." Medical marijuana is like "black pot," which is deemed OK, when it comes wrapped in the white lab coat of a medical doctor. All other forms of "marijuanas" are ranges of coloured pot, which are mostly still illeal everywhere in the world, since the United Nations was made and maintained by the same banksters, that deliberately maintain systems of social slavery, i.e., debt slavery, backed by wars based on deceits. All of those trends were on exponential growth curves, so that the numbers of the debt slavery have become debt insanity. Similarly, the drug wars are manifesting runaway social insanities. However, the genuine solutions to these problems require that we develop better death control systems, not NO such systems. We need better dynamic equilibria between the different systems of organized lies, operating organized robberies. Uruguay's proposed changes in their marijuana laws are relatively trivial steps in that direction. Of course, that is BETTER than continuing to go backwards, by enforcing legalized lies about cannabis with ever more criminal law enforcements, whose actual effects will continue to backfire more and more badly. However, no sufficient solutions to social problems can be developed which do not face and admit the facts that the death controls are central to the overall systems, and MUST BE. The PROBLEM is that the history of warfare enabled those who were the best at deceits to prevail. Therefore, we gradually ended up with a civilization which was operated through the maximum possible deceits, within which context were the marijuana laws, based on HUGE LIES, that asserted the single best plant for people was "almost as bad as murder." The SOLUTION should be a better murder system, because nothing else is sufficient. The beginning of that process requires that we stop accepting the basic LIES that "drugs are bad." That breakthrough is the only rational basis upon which to built better drug policies. Uruguay is NOT doing that, but only recognizing something which has been plainly obvious to social science for decades, namely that pot prohibition causes way worse problems than the pot does. To "STOP THE DRUG WAR" should be approached through understanding WAR in general, in much deeper ways. That requires profound paradigm shifts in the philosophy of science (especially with respect to the concept of entropy) which then enables adequate paradigm shifting in political science. Of course, we are nowhere remotely close to doing that ... Rather we are still light years away, with "progress" being seen in that things in a few places finally have gotten so blatantly bad, that the policies which make them worse are being reconsidered and amended. However, neoprohibitionist changes, from Colorado to Uruguay, are still operating within the same overall paradigms, and therefore, are still WRONG, in every way, other than that they marginally may stop things from continuing to get ever worse, at an exponential rate, as they have been doing, for decades. Mexico ain't rethinking its stance. Enrique Peña Nieto is the next elected President of Mexico and STRICTLY opposed any type of legalization as he works closely with Mexican cartels and media drug lords. It's just some politics noticing that their country is going directly to the shithole (and a big one) if they don't do anything for their country, hopefully the people have enough movement to change that in Mexico, but until the US changes its stand, Mexico will keep getting much worse. If you actually bothered to check your sources you'd realize that the aljazeera articles quotes "campaigners" using the term "war on science" as an attack slogan and the war on drugs is another reframe by your "source" the green party (which by the way has a single seat in parliament and is about as relevant as any other minor fringe party). Neither are actually real things, and in fact both are used as reframing debates to make one side look bad, as was OP's original point.